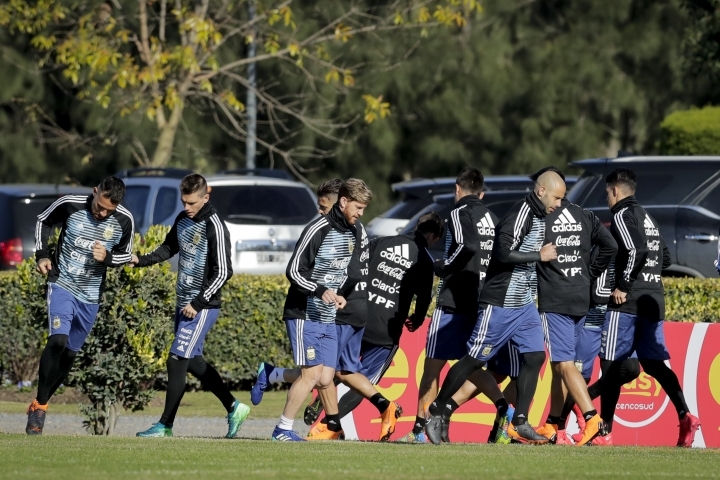 BUENOS AIRES, Argentina — Argentina has to get over recent disappointments in major tournaments in order to challenge for the World Cup title in Russia, defensive midfielder Javier Mascherano said Wednesday. Mascherano downplayed expectations telling reporters in the Argentine capital that "it would be a mistake to already think about the final." He also said beating Iceland in their group-stage meeting will be key for Argentina to regain its confidence. Argentina opens its Group D campaign in the Russian capital against Iceland on June 16. It then plays Croatia on June 21 in Nizhny Novgorod, followed by a meeting with Nigeria in St. Petersburg on June 26. There are plenty of doubts for coach Argentina ahead of the tournament. At 33, Mascherano is near the end of his career, while striker Sergio Aguero and midfielder Lucas Biglia both experienced injury problems recently. Paulo Dybala is yet to deliver for his country despite all the promise on display at Juventus. Much of the squad also carries the burden of mass disappointment following three successive losses in finals: the 2014 World Cup, the 2015 Copa America and 2016 Copa America Centenario. Argentina secured its spot in Russia in the last round of South American qualifiers thanks to a hat trick by captain Lionel Messi against Ecuador. The flaws in the squad were later underscored in a 6-1 loss to Spain in a friendly in March. "We can't be thinking about becoming World Cup champions, but about arriving as a group in the best way and generating trust that we lack today because of the situations that we have experienced," Mascherano said. "It's fundamental to start the World Cup well, not go crazy thinking about a hypothetical final, and think about it stage by stage," he said. "The World Cup shows you the path that you should take along the way." Argentina won the World Cup in 1978 and 1986, but took its last major title in 1993 with the Copa America.